Hi, Amy! Thanks for the tips! Our book club often struggles with choosing a book…maybe this one will help. I am currently reading I Am Pilgrim by Terry Hayes, and even though it is not one of my typical genres, I am really enjoying it! I am not very far into it, but it is sort of a spy adventure novel with a good sense of humor. I love the author’s voice. 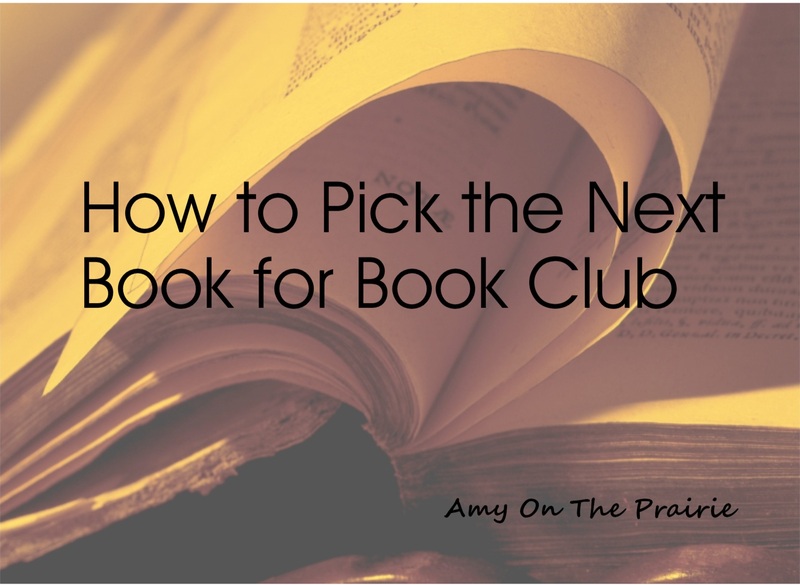 One favorite that my book club members all enjoyed was The Rosie Project by Graeme Simsion. I can’t wait for the sequel! Thanks again for the tips. Hi Paula! Thank you! I’ll check out I Am Pilgrim and The Rosie Project. They both sound great! I ask the most voracious readers I know – my mom and my friend Lisa- for their most recent likes. I check goodreads too. Last but not least, People magazines book reviews have never led me astray. Thank you, Beth! I haven’t tried People recommendations yet, but I’ll definitely seek them out now. Entertainment Weekly and O magazine usually have good recommendations too. I’m not in a book club, but I like Entertainment Weekly book reviews…so I’m your best friend now, right???? Smitty, you earned bestie status in 1999. Mwah!